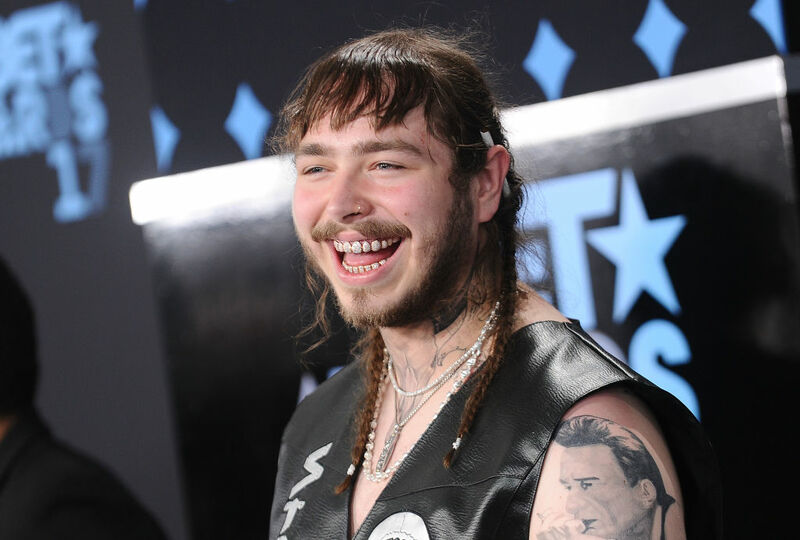 American rapper Post Malone has increased his collection of face tattoos with a huge new addition. Malone has had some interesting tattoos in the past – a recent one that comes to mind is the very relatable ‘always tired’ tattoo under the rapper’s eyes. It’s certainly one way to cover up the bags. The Texas-based singer also has a string of barbed wire tattooed across the top of his forehead, and the words ‘stay away’ above one of his eyes. It seems like he really doesn’t want people getting close to his face. Post has since had some more facial artwork done, adding to his threatening-slash-relatable collection. The rapper got the tattoo while he was in Japan, by an artist named Ganji at the Three Tides Tattoo shop in Tokyo. The artist posted a picture of his masterpiece to Instagram. The tattoo shop’s Instagram page shared a video of the final stages of the tattooing process, as well as Post Malone’s initial reactions to his new piece. The new ink leaves more to the imagination than his straight forward phrase tattoos and the threatening barbed wire, making fans wonder if there’s a hidden meaning behind the art, or if it’s just a shape the rapper happened to like. The tattoo appears from New York-born rapper’s hairline, curling over his forehead and cheekbone. @postmalone !!! Tattoo by GANJI @bangxganji ⚡️⚡️⚡️#tokyothreetides #threetidestattoo #postmalone#ポストマローン さん 御来店? Fans of the rapper have been sharing pictures of his new artwork and expressing their thoughts. 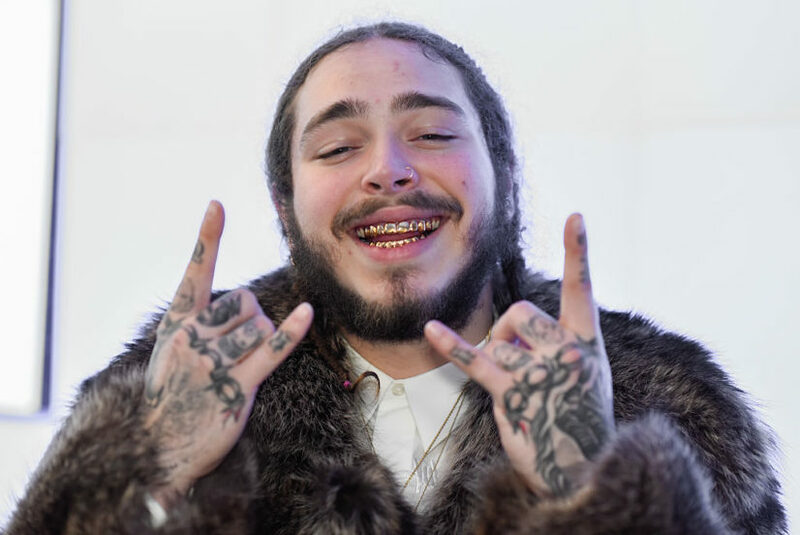 love post malone, but the new face tattoo is too much. Some people are speculating whether the artwork is a representation of ‘Japanese finger waves’ – depictions of curling waves which could potentially have inspired the tattoo. The rapper hasn’t posted anything yet himself which could confirm fan suspicions or provide further insight into the meaning of the tattoo, but people are continuing to guess. It might not be much use trying to guess the meaning of the tattoo – despite how obvious the ‘always tired’ tattoo seems, the rapper revealed he really just wanted a tattoo with equal letters when he went for that one. I must point out – he failed. I tried to do something that’s relatively the same length of letters. I guess ‘always’ is more letters than ‘tired,’ but I was tired so I didn’t realize. It could be that the reason behind the new tattoo was nothing more than a simple desire for some wavy black lines. We may never know, but our imaginations can run wild.